In 8, Templstraße there was the pension Kappelsberger. 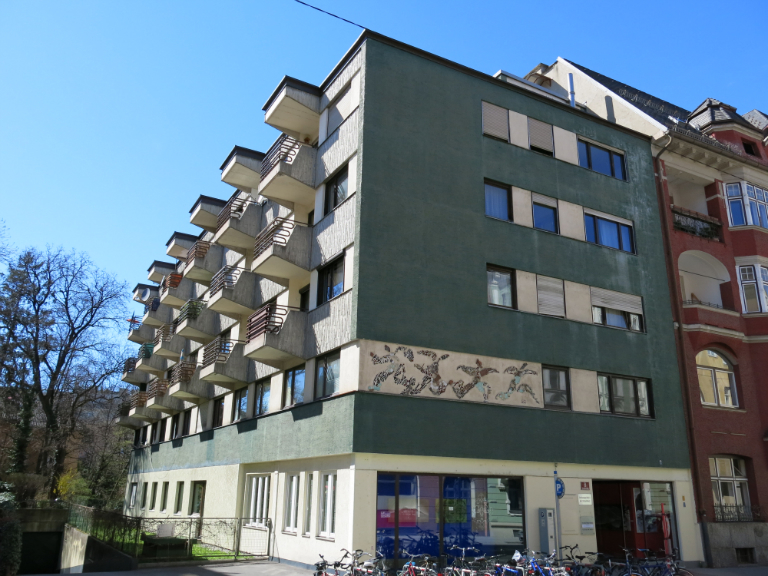 With the help of the Jewish community Mrs. Johanna Kappelsberger, born Sprinzel was able to buy this property and to build a pension there. Alwin Kappelsberger died in 1926 during the crossing to Sao Paulo (Brazil), where he wanted to take up a position as violinist at the college of music. He was born in Feldkirch, studied the violin in Munich and was a pupil of the Czech violin virtuoso Otakar Ševcík. During the night of the pogrom the furniture of the pension and the flat was smashed and most of the windows were broken. 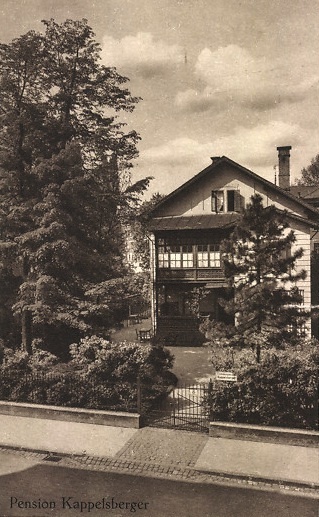 Laura Popper, who lived at 5, Beethovenstraße hoped to find accommodation in Mrs. Kappelsberger’s home after her husband Julius had been arrested, but this proved impossible due to the damage. The English teacher of her sons, Siegfried and Robert, who had lived in this pension, had been able to leave Innsbruck in time. Mrs. Kappelsberger also left Innsbruck and went to Feldkirch.